Create a web dynpro component. In the view context add a Node. 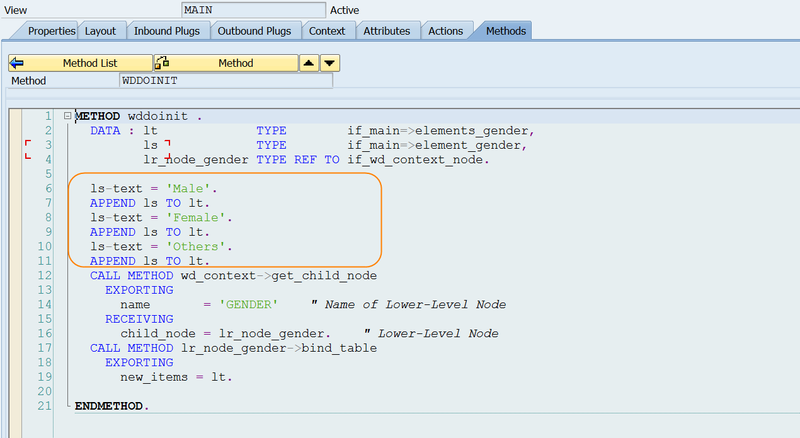 Create an attribute under the node. Add radio button group by index UI element. Provide the code in INIT method and bind the table. please tell how this code we get …..we write it or through wizard. because if i write it. it doesn’t work.